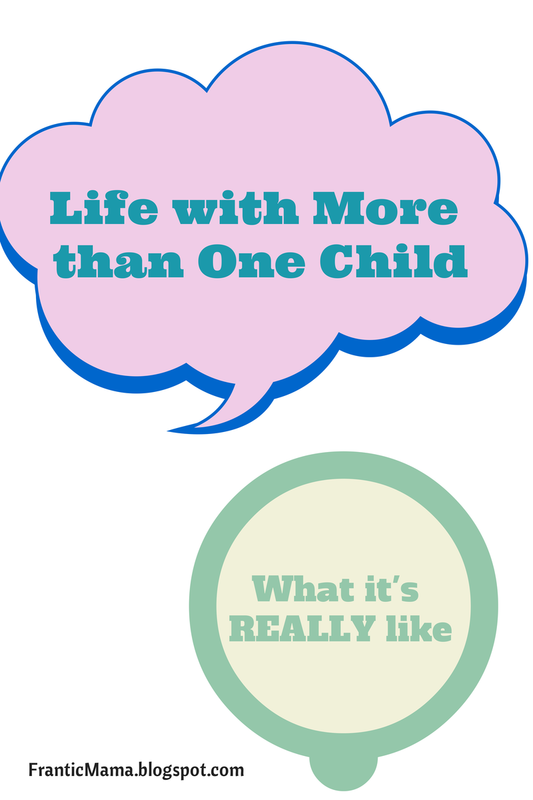 Recently, I have been contemplating the differences between life as a mother of one child versus life as a mother with more than one child. I have a just-turned-4 year old spirited, highly sensitive son, and an almost-2-year-old active, bold, persistent daughter. I am amazed by the stark contrast of my daily life with two little ones compared to a SAHM who has just one child. When I had only my son, I thought my life was challenging. I was surprised (and thrown into quite a spiral of generalized anxiety) at how draining, lonely, and hard motherhood could be as I attempted to settle into life as a new stay-at-home-mom. Add to that his spirited baby personality-- one that made him more complicated than the few other babies I knew-- and well, the days were long. But we had many moments of fun, affection, and mini adventures together all the same. I was and am very grateful for him. BUT. (There always seems to be a 'but' in my blog, right?). There are days when just having one child sounds luxurious, especially knowing what I know now. I picture going on fun outings where I only need to focus on one child. Because-- here it is-- if I could truly focus on just his or her needs, I am certain there would be fewer behavior issues at any given moment. No clamoring for attention. No sibling bickering. Not one child wanting to stay at the playground while the other child begs to leave. I feel guilty about this, but I even occasionally get nostalgic for the days I spent solo with my son, as a new mother of one treasured little boy, regardless of how challenging his behavior and temperament could be. All of this reflection comes from having recently spent time with a couple of mothers who have just that one child. We will meet at a park [GAH!] or our homes, and I feel down afterwards. What should be a fun, carefree outing [I fear that many working mothers glorify these playdate attempts; perhaps I can reassure them that it truly is not easy, that you don't finish a single sentence, etc., but you will probably not believe me]. Anyway, the first 5-10 minutes of said playdates are fine, but then one of my kids falls down and needs me, and the other asks for a a very specific snack. If I'm not watching one very closely, the other one is climbing up the stairs, and when I go off to chase her, my son has opened up their pantry and is saying 'no' to all of their offerings. All this, while the solo child is happily playing like a little angel. I fear I look like the crazed, flighty, lack-of-discipline mom, simply because I am trying to stay on top of both children's needs while attempting to be a polite and sociable guest. It just does not work. I had a mother-of-one at such a playdate tell me authoritatively "don't be afraid to say no." Um. I was certainly not looking for parenting advice or judgement. Of course I say no to my children, but truth be told, "no" is used primarily when their choices will harm them or someone else. Because I have more than one child, there are certain battles I cannot realistically tackle right now. My son eats on the couch? Fine. My daughter dumps her water all over the table? Ok. Yes, sure, it's not fun to clean all of that up, but I would be saying "no" ALL DAY if I truly wanted to control every aspect of their lives. And that sounds awfully dull, ineffective, and exhausting. This does not mean I think in reality "the grass is always greener" with one child, because in reality we all have our challenges, whether with one child, no children, or many children. These reflections come from a more wistful 'if I had known then' mentality, if that makes sense. Despite the challenges, I do love having two children. There are many joys in watching my two interact and make each other laugh or smile. Joys that trump the double dose of anxiety, exhaustion, and stress. Of course, with each child one adds to their brood, surely it gets even harder. A dear friend just had her fourth child, and I am in awe of her. I would love to hear your thoughts. Did you decide to just have one child? Or, have you always planned on having a big family? Did you change your mind? Why or why not?